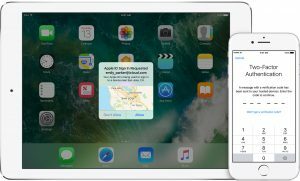 Apple company has implemented full Two-Factor Authentication (2FA) with IOS 10.3.1 which is a more secure form of protection. 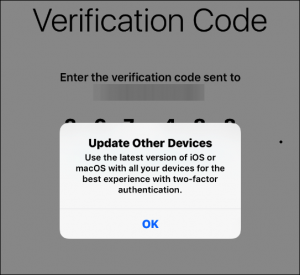 2FA is baked into iOS, macOS, tvOS, watchOS, and the Apple website. It uses an updated method to trust devices and deliver verification codes. In fact, 2FA is required to use some features that require the improved security. Type in your Apple ID and password and log in. Click Edit at the far-right of the Security section. On your iPhone or iPad that’s running iOS 10.3 or higher head to Settings > your name > Password & Security and sign into your account if prompted. 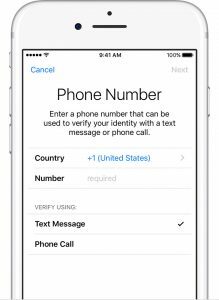 A new Apple ID security screen will pop up where you need to enter your phone number. Choose to receive a text message or phone call and tap Next. When you get the verification code on your phone, just type it in and 2FA will be turned on. You’ll get a message urging you to always use keep your iPhone up-to-date with the most recent version of iOS for the best 2FA experience. 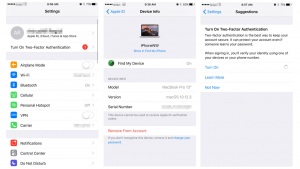 Two-Factor Authentication for Apple works like you’re used to with other services. 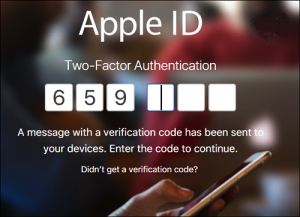 When you log into your Apple accounts with your ID and password, you’ll be prompted to enter in the second verification code that is sent to your phone. Once you’re signed in using a trusted device, you won’t be asked for a verification code on that device again unless you sign out of your account, erase and reset the device, or change your password. We should also mention that the Set Up Assistant in iOS 10.3 walks you through signing in on a new or newly updated device and now prompts you to enable 2FA. These days security is no joke, and we are constantly urging everyone to enable the extra security layer of 2FA on all online services that support it. It’s a bit inconvenient, but remember, convenience is the enemy of security — especially when it comes to tech. Do you have 2FA enabled on your Apple account and everywhere else it’s available?